The trail extending south from Lovettsville has taken a path through a flood plain and running waters. If you live in a floodplain, you live in an area of high risk even if you have never experienced a flood. The Federal Emergency Management Agency (FEMA) maps floodplains and encourages residents to find out if their property is within one so they can be prepared in the event of a storm. FEMA statistics show that homes in a floodplain are 26 times more likely to incur damage from a flood than from a fire during a 30-year mortgage. If you want to obtain a mortgage for a property located in a floodplain, and the federal government backs the mortgage, you must purchase flood insurance. 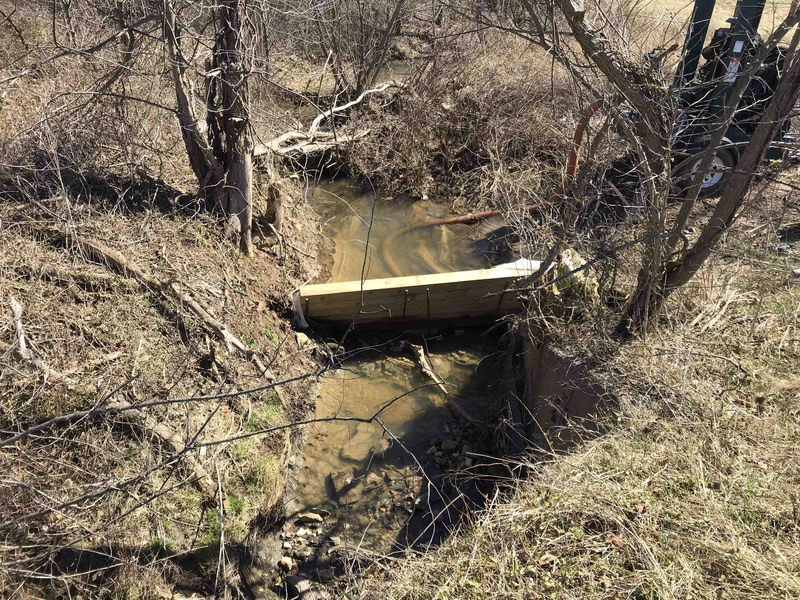 The National Flood Insurance Program (NFIP) provides insurance to communities that adopt and enforce floodplain management ordinances to reduce future flood damage. In fact, getting a mortgage on a property at risk for flooding would be virtually impossible without the NFIP. FEMA partners with states, tribes and communities through the Risk Mapping, Assessment, and Planning (Risk MAP) program to identify flood hazards, assess flood risks, and provide accurate data to guide stakeholders in taking effective mitigation actions that result in safer and more resilient communities. This data is incorporated into flood maps, known as Flood Insurance Rate Maps (FIRMs) that support the National Flood Insurance Program (NFIP) and provide the basis for community floodplain management. Because flood risks can change over time, and water flow and drainage patterns can be altered dramatically by surface erosion, land use, and natural forces, FEMA works with communities to identify areas where such changes occur and determines the best approach for updating the flood hazard information shown on the FIRM for that area. 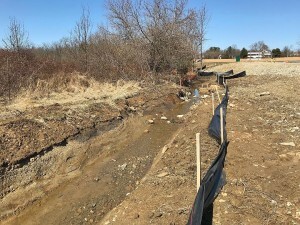 That said, alterations are often made to the channels of rivers, stream, or drainageways, usually to improve drainage, relocate the channel, or to increase its flood carrying capacity. But not usually to create a walk-way or run-way – as is the case in Lovettsville. There are two basic requirements for maintaining the flood carrying capacity of an altered watercourse. The altered or relocated watercourse must have the same or greater capacity as the original watercourse. Additionally, once the alteration is made, the capacity of the altered or relocated watercourse must be maintained over time. 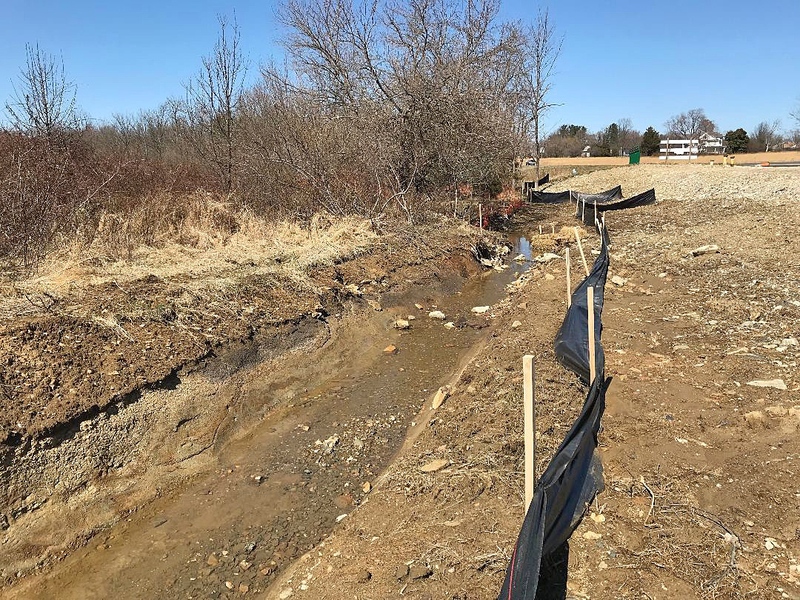 If a development permit application proposes a stream alteration, the local official must notify adjacent communities, the State Coordinating Agency for the National Flood Insurance Program (NFIP), and provide a copy to the FEMA Regional Office. If an adverse impact is suspected, the neighboring community will be able to voice its concerns prior to any modification. Perhaps that was done, but there is no record this correspondent could find on the digital information publicly available. Federal and State permits will usually be required for any alteration or relocation. It is recommended that the community require the submittal and approval of a Conditional Letter of Map Revision (CLOMR) for large-scale proposals. This assures that FEMA will recognize the project for a map change when construction is completed. Now, these permits may have been obtained and on file somewhere. But they have not been found thus far. Of course, that doesn’t mean they don’t exist. Normally applicants submit to request a Letter of Map Revision (LOMR). FEMA reviews this and goes through the process of publishing in local newspaper and later the map becomes “effective”. See the LOMR in 2017 on north side of Lovettsville. There does not appear to be any reference in recent Town meetings to any construction or communications with FEMA. There is a report - but no mention there. The records exist but this correspondent couldn’t find the information. 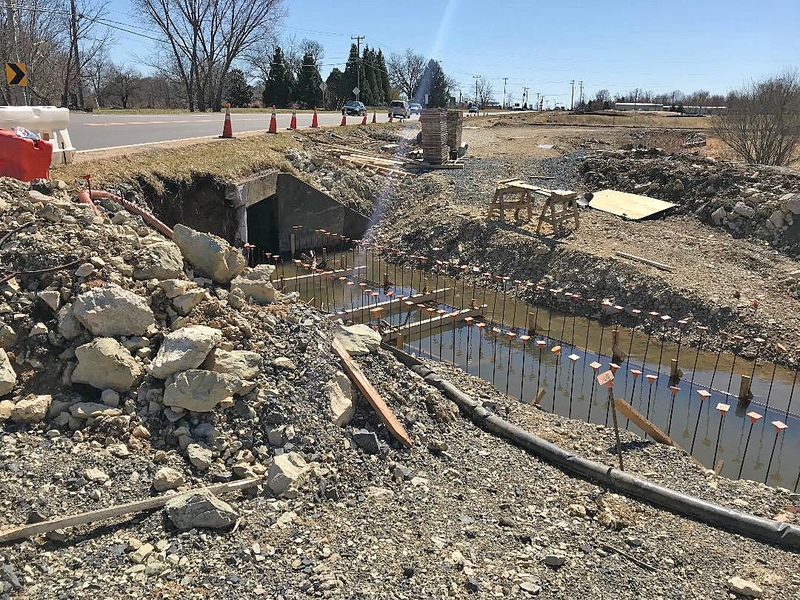 There are no records and then, there is either an exception that applies, though that appears doubtful, or there is a need for the authorities to catch up with the necessary permits and clearances and approved map updates while the project is still underway.